Bacteriophage decontaminates infant formula infected with superbug. Bacteriophages are abundant in the environment, which means they are ecologically friendly. They infect and kill only bacteria, which means they could be used as novel biocontrol agents and even as natural food preservatives. Due to their host specificity and lysis activity, phages have been considered alternative biocontrol agents for the control of pathogenic bacteria. Although this approach has been used as a therapeutic approach in the Soviet Union and Eastern Europe for several decades, the application of bacteriophages for the control of pathogens has only been suggested and evaluated in Western countries over the last decade. 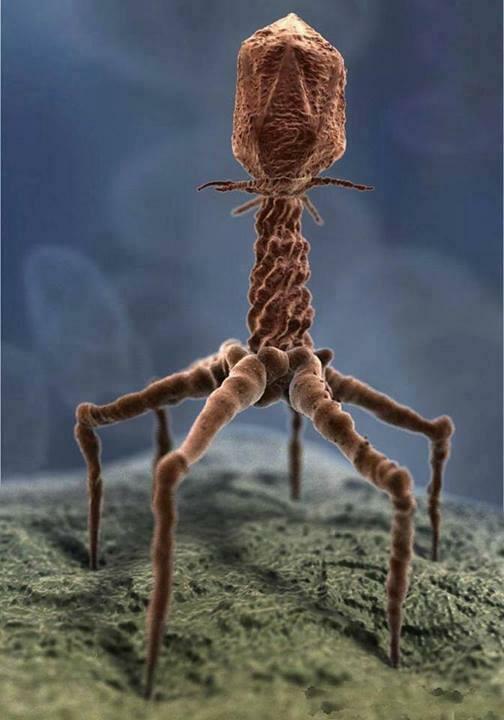 In 2006, the US Food and Drug Administration approved the use of bacteriophages as biocontrol agents in foods. However, the agency does not allow the use of antibiotics in infant formula. Cronobacter sakazakii (C. sakazakii) is a generally well-known pathogen in infant milk formula powders that causes bacteremia, meningitis, and necrotizing enterocolitis in neonates with high fatality rates. When C. sakazakii was defined, antibiotic susceptibility tests revealed that this species had occasional antibiotic resistance, suggesting that the antibiotic resistance of C. sakazakii has resulted in limited antibiotic therapies for the control of this pathogen. Therefore, novel alternative biocontrol agents should be developed. Now, a study from researchers at Seoul National University has shown that a specific phage exhibited strong anti-microbial activity against this type of food-borne bacterium that often kills infants after infecting them via infant formula. The opensource study is published in the journal Applied and Environmental Microbiology. Previous studies show that Cronobacter, the target bacterial genus of the phage, CR5, is a family of closely related species that cause illness in people of all ages. While infection is rare in the US, these bacteria kill up to 40 percent of infected infants. Additionally, those that survive can face long-term neurological problems, according to the Centers for Disease Control and Prevention. C. sakazakii-contaminated infant formula has been considered an unsolved problem because antibiotics cannot be used and has been known to have multiple antibiotic resistance genes. The current study was conducted using infant formula that had been contaminated with C. sakazakii. Results show that the phage, called CR5, displays high antimicrobial activity against the bacterium, C. sakazakii, as well as against several other species of Cronobacter, which can also cause dangerous illness. The team observed that the CR5 killed C. sakazakii quickly, and no C. sakazakii was detected in the infant formula after 10 hours had passed. The lab stress that the phage is safe for humans, noting that their analysis of its genome revealed neither toxin gene nor virulence factor. The team surmise that their findings show that C. sakazakii-phage CR5 is an efficient biocontrol agent in infant formula. For the future, the researchers state that this bacteriophage treatment is a promising approach to solve this problem.